There are now an estimated 30 million Muslims in Europe – precise figures are hard to come by because of the number of illegal and undocumented immigrants. Their numbers are growing fast through birth rate and immigration. They have brought with them a culture rooted in the supremacy of Islam and negative views regarding Christianity and Judaism. They do not accept Western values on human rights, which makes it hard for them to integrate. Most of them aspire openly to impose their religion and their way of life on their host country, often aggressively. Europe has yet to come to terms with the situation and appears unwilling – or perhaps unable – to address the threat. Does it mean that it is losing its ability to control its fate or that it has already lost it? What about the European Union, whose creation was accompanied by such great expectations? It was meant to promote democracy and to enshrine human rights, freedom of expression, and gender equality. Will it break down into its component states? In short, will rich and prosperous, but tired and weak Europe eventually slide into the submission to Islam so eloquently described by French writer Michel Houellebecq in the book of that name, Soumisson, in 2015? In the 1960s and 1970s, immigrants were welcomed in Europe. Dwindling birth rates across Western Europe meant that new sources of workers were needed for thriving industries, and Europeans were no longer prepared to do difficult manual tasks. The first newcomers were from former colonies in Africa and North Africa – most, but not all of them Muslims, and from Commonwealth countries for Great Britain. It quickly became evident that they intended to remain. In the 1960s, Germany started recruiting Turks for work, but those “guest workers” were expected to leave at the end of their contracts. It did not happen. In recent years, wars in the Middle East triggered a massive influx of Muslim refugees. Most of these are neither ready nor willing to adapt to the values of Western society. European “political correctness” – accepting the “other” and “pluriculturalism” (coexistence of several cultures) – made it hard for the host countries to cope. Europeans fail to realize that cultural pluralism means that Muslims do not have to assimilate into the host country and encourages them to maintain their traditional ways. As a result, the immigrants tend to live together. Their growing numbers make for greater self-confidence and the development of Islamic institutions and power centers led by militant and extremist organizations such as the Muslim Brotherhood and, the lesser known but no less virulent, Hizb el Tahrir, or “Liberation Party.” Their clergy and preachers urge the faithful to reject assimilation and democratic values and to fight for the implementation of Sharia law and the Islamization of Europe – by toppling their host countries from within. The message that is relentlessly drummed through Arab television channels, mosques, local organizations in major cities, Muslim social media, and Muslim schools has a major impact on populations brought up on the teachings of Islam, a religion that is both a culture and a way of life. Obviously, many Muslims have successfully integrated, but it is not enough to stop the insidious process of Islamization. Closed communities are implementing Sharia law even though it often violates the laws of the land. A parallel culture emerges, which includes setting up Sharia courts and enforcing female genital mutilation (FGM) – expressly forbidden in Europe. Also prevalent are so called “honor crimes,” a modesty police, and forcibly returning young women who had fled family tyranny, arranged marriages, or abusive husbands. In hospitals, male doctors and nurses are violently prevented by irate husbands to attend to their wives. There is mass unemployment and crime is rampant. In France, 60 to 80 percent of prison inmates are Muslims, and they are being increasingly radicalized – including previously moderate Muslims and even many non-Muslims. There are attempts through lawsuits and intimidation to curtail freedom of expression when it comes to criticizing Islam. Pressure is brought to bear on the workplace and in schools to serve only halal food, to allow breaks for prayer, and to reduce working hours during the month of Ramadan. Women going through predominantly Muslim areas are often harassed if their attire is not considered modest enough. Muslim influence is felt most strongly in schools, though at various levels in different countries. Lessons about the Holocaust and World War II are stopped by vocal protests; Hitler is revered as a hero for his persecution of the Jews. Teaching evolution, which is contrary to Islamic narrative, or even science and nature, is almost impossible. Throughout Western Europe, education ministers and ministries faced by the same phenomenon are afraid to act. In many establishments, boys and girls are separated for sports and swimming lessons. I can attest personally to the situation in Sweden; when I was ambassador there I met a number of teachers, some Jewish but not all, who complained that the relevant authorities were turning a blind eye. In France, a collective of teachers led by Jewish historian and publicist George Bensoussan published in 2002, The Lost Territories of the Republic, an explosive description of what was happening in French schools.1 Tellingly, the teachers chose to remain anonymous, and Bensoussan took an assumed name. It was not only intolerance and extremism that Islam brought to Europe, but also blatant anti-Semitism and hatred for Israel, which helped revive traditional Christian anti-Semitism. Being an anti-Semite is no longer taboo if it can be draped in the guise of “legitimate criticism of Israel,” accused by Arabs and Muslims of committing “a Palestinian genocide,” as well as a host of other imaginary crimes. 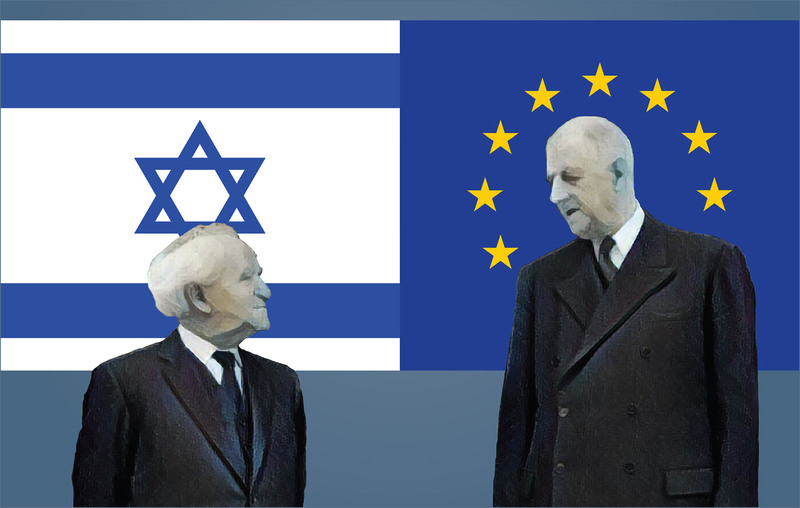 Unfortunately, they are slowly penetrating government circles and endangering relations between Israel and Europe. Violence against Jews has become rampant to the extent that synagogues, schools, and Jewish institutions throughout Europe have been given police and military protection. Demonstrations against Israel supported by the extreme Left often degenerate into violence and vandalism against Jewish sites. Massive terror attacks in Paris, London, Berlin, Stockholm, and Nice, no longer targeting Jews and Jewish institutions but the public at large, did not, as could have been expected, bring Europe closer to understanding what was happening. Some of the perpetrators were recent Muslim immigrants, but most were homegrown terrorists, born and raised in Europe. Conclusions were not drawn. Defense budgets were increased, more policemen recruited, state-of-the-art techniques were introduced to prevent further attacks. Making ordinary citizens safe was indeed a primary imperative, but what of the roots of the problem? Governments across the board refrain from pointing the finger at radical Islam. As long as one does not identify the enemy, one cannot tackle the problems it creates. It is not merely a question of security but essentially a social, economic, and political issue. Bold measures are needed, such as direct intervention in the educational system, uncompromising dialogue with Muslim institutions to bring incitement to an end and obtain their support for the policy of the government, and strict supervision of what goes on in mosques and what is being said by preachers and Imams. Immigration will remain a major problem since there does not appear to be an easy fix. Taken by surprise by the seemingly endless flow of refugees pouring into Europe from the Middle East, Afghanistan, and Africa as well, EU countries scrambled to find ways to block them. Open borders were closed again, and border controls reinstituted in apparent violation of the Schengen agreements. Border controls were also established on the vaunted Oresund Bridge over the straits of that name between Danish Copenhagen and Swedish Malmo. A new Danish law restricts the number of potential immigrants. The old freedom of movement between Scandinavian countries is no more. There is less and less solidarity between the countries of the European Union, which are squabbling about cost and quotas of refugees to be admitted. Italy and Greece, through which most of the refugees arrive, are complaining of being treated unfairly. Central European countries such as Hungary flatly refuse to comply with what they see as diktats from Brussels. Turkey demanded – and received – $6 billion from the European Union to stop refugees from departing from its shores, as well as a promise to waive visa requirements for Turks, which is yet to be redeemed. The problem is more or less under control, but for how long? Human rights organizations and European media effectively hamper a suitable response to the threat of Islam. They exert their considerable influence to persuade western governments to absorb the refugees without taking responsibility for the potentially disruptive social and political consequences of such a move. It would therefore appear that Europe has lost the will to fight and is also losing its ability to control its destiny. The bells may be tolling, but no one is listening. Amb. Zvi Mazel served as Israel's Ambassador to Sweden between 2002-2004. From 1989 to 1992 he was Israel's Ambassador to Romania and from 1996 to 2001, Israel's Ambassador to Egypt. He has also held senior positions in Israel's Foreign Ministry as Deputy Director General in charge of African Affairs and Director of the Eastern European division and head of the Egyptian and North African department.